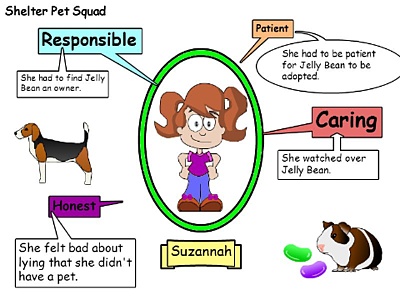 Get students thinking about a topic or story character by having them create a cluster diagram in Wixie. 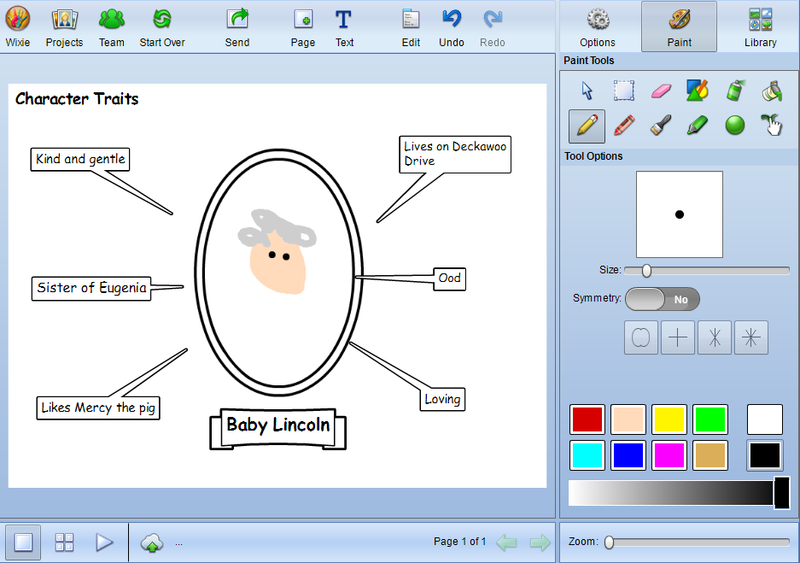 Cluster diagrams are designed to help with brainstorming and ideation, and Wixie makes it easy for students to create cluster diagrams that combine text, pictures, and voice narration. Common Core State Standards for Literature and Informational Text begin with the ability to identify key ideas and details. Describing the traits of a character in a book is a great place to begin when you are asking students to recall, retell, and demonstrate comprehension. Wixie makes implementing this process in the classroom easy with templates students can access from their Projects view. 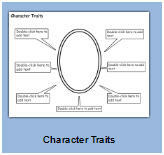 Simply have students log in to their Wixie account, click the Templates tab at their Projects view, and choose the Character Traits template. 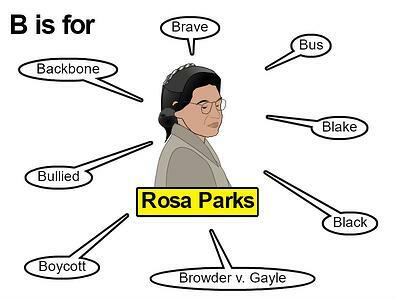 Students then click each text box and type traits that describe the character. Students can use images from the Library panel or tools on the Paint panel to add a picture of the character to support their text details. You can also use the character traits or cluster diagram to help students brainstorm traits for a person or animal they have researched in informational texts. To add an additional level of thinking to the project, ask students to add another text object connected to each trait that includes evidence from the text that supports their ideas. This is especially useful in grade three and above when students need to back up their answers about a story or informational text with details and evidence found in the text. A cluster organizer can also help students brainstorm and organize ideas before they start writing. They can start by adding ideas, but then move the boxes with similar ideas next to each other, or like, the Suzannah example above, add additional details and evidence to each idea. If your students need a challenge, ask them to try an associative letter approach. Rather than adding any idea/fact/trait they can think of for their topic or story, challenge them to choose traits or creatively name them so they all begin with the same letter. 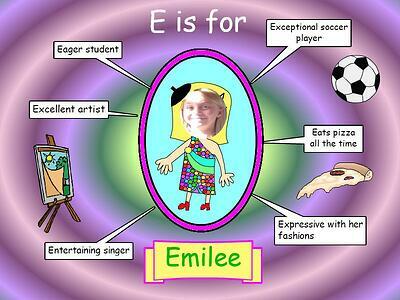 This also makes for a creative approach to an "All About Me" project. Instead of just typing any information about themselves, challenge your students to find words and phrases that begin with the same letter as their name, like this E is for Emilee example. 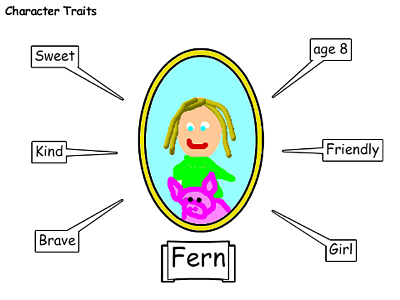 Cluster and character trait diagrams are simple and easy first projects in Wixie. While you can ask for content that is simple recall, it is easy to add a few more requirements to student work to really get them practicing creative and analytical thinking.